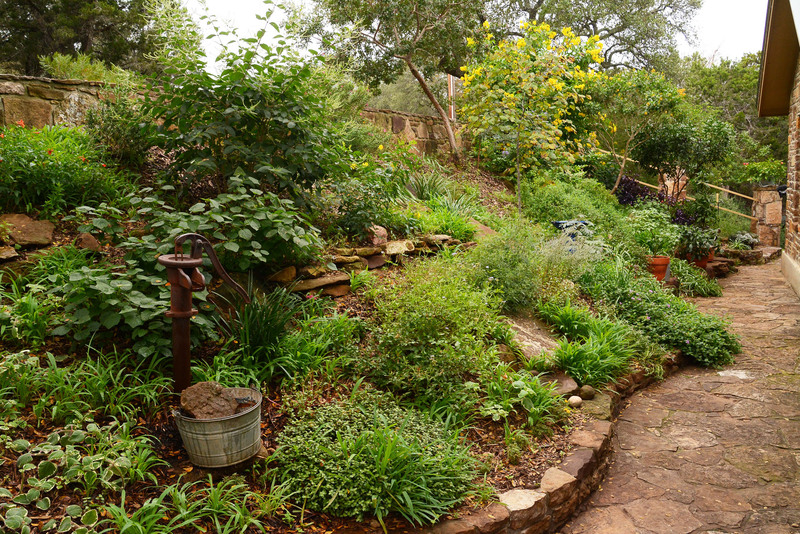 With all the mature trees in our older Central Texas neighborhoods, I’m often asked for recommendations on flowering plants that can take the shade. One is Texas columbine, also known as Hinckley’s columbine, Aquilegia chrysantha ‘Hinckleyana’. And while this plant still needs at least some bright light to form its beautiful yellow flowers, it can usually get enough sun in the late winter/early spring, in that short window while the live oaks are leafless, to make a good spring showing. The ‘Texas Gold’ cultivar performs just as well as Hinckley’s, and has been designated a Texas Superstar, meaning that it has been extensively tested by our AgriLife Extension specialists, and shown to be especially Texas-tough. Although there other columbine cultivars available, ‘Texas Gold’ and Hinckley’s are the most hardy, and the most tolerant of our harsh summer heat. As with most plants that need shade, columbine also needs a little extra water, especially during the hottest, driest months of the year. Amending the planting area with a good amount of compost will help these plants grow and establish quickly. 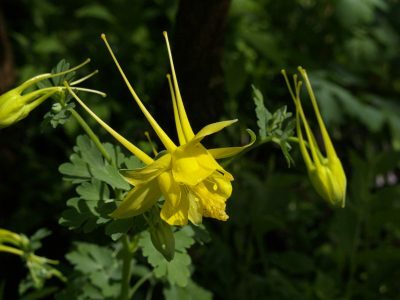 Big note: unlike many other shade-loving plants, columbine cannot tolerate heavy clay soils, and may rot, especially if overwatered in unamended soil. 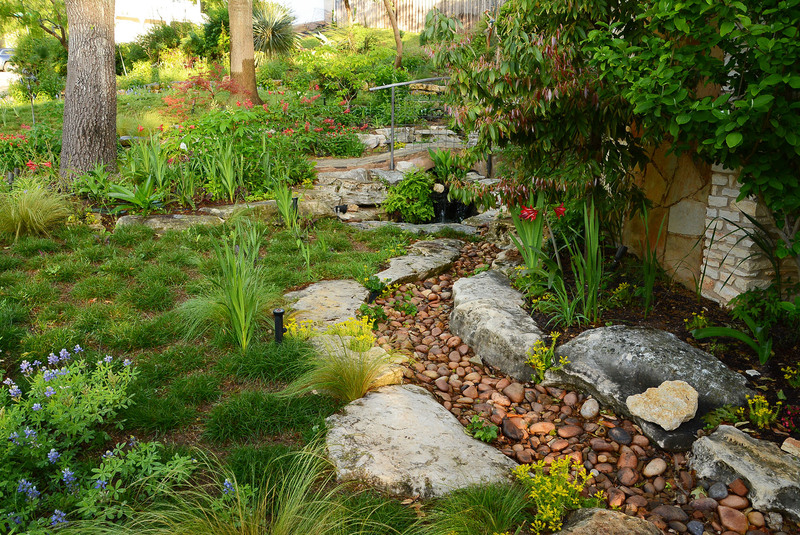 Planting in a raised bed would be best in this situation if you can’t amend the soil with sharp drainage from expanded shale or decomposed granite.